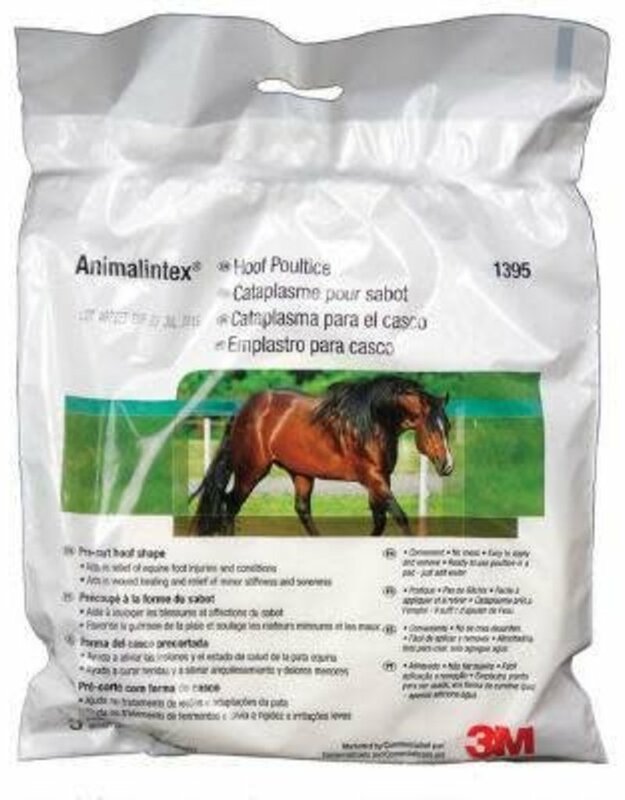 Animalintex Hoof Poultice – Ideal for cuts, wounds, abscesses, inflammation and hoof conditions. Made of cotton wool impregnated with boric acid antiseptic to promote faster healing and a natural poulticing agent. The occlusive backing helps retain moisture and warmth. 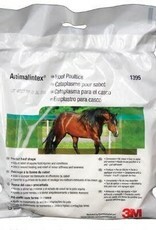 Pre-cut in the shape of the hoof, protects the wound from external contamination. Works as a hot poultice for abscesses, boils, cracked heels, laminitis, seedy toe, corns; works as a cold poultice for bruises.